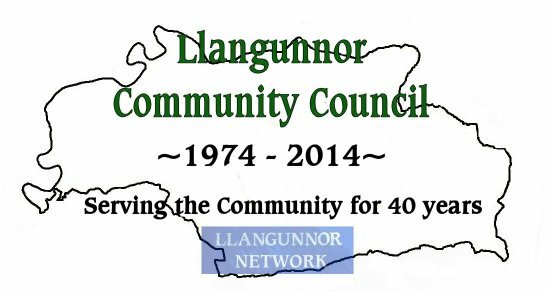 April 2014 marks the 40th anniversary of the formation of Llangunnor Community Council in 1974, replacing the old Parish Council which ceased to exist on the 31st March 1974 after the Local Government Act 1972 led the way to them being replaced with Community Councils. The first meeting of this "new" Council was the annual general meeting held at Login school room where Mr John David James Morgan (Dai Mogs) was elected Chairman. Back in 1974 the newly formed Community Council was looking at the provision of street lamps in Llangunnor, issues of abandoned cars and litter were also quite common. The Council was also in discussions regarding the school being used for the general community and discussions were ongoing regarding the playing field. One issue that seems to have caused a stir at the meetings was the name of the community, reading between the lines it would appear that arguements regarding the spelling of the Community kept cropping up as to whether it should be 'Llangunnor' or 'Llangynnwr' a vote was taken in July 1974 when 'Llangunnor' came out on top and the spelling remained the same. However it appears that Mr Gwynn Bowyer did not agree with this decision and declared that he would raise the matter again at a future meeting, which he did at the October 1974 meeting - again another vote was taken with the same outcome. The Community Council has the power to raise money as it did back in 1974 via a precept added to your Council Tax Bill - The Council will have £36,000 for 2014/15 which should equate to about £32.71 a year for a band D property.